Taraweeh prayers will start straight after Isha prayer and will be approximately 45-50 minutes long. 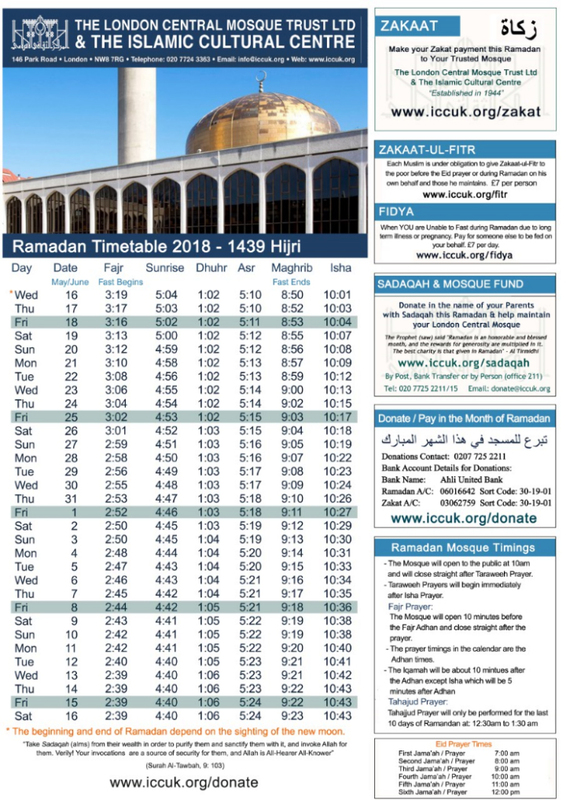 The Mosque opening times during Ramadan will be from 10am in the morning everyday and close straight after Taraweeh prayers. The ICC would like to invite all our brothers & sisters to attend the daily lectures during the month of Ramadan. Thursday 14/06/18 29 Functional health & productivity in Ramadan and beyond.